While I love conflicted and dynamic villains in story telling and RPGs, sometimes I just like to throw in a really really awful and terrible force of nature to wreak havoc on my worlds. For those, I look to several of my favorite inspiring bad guys, whose drive for power stretches across entire planets and alternate dimensions. From manga, to video games, to classic literature, here are 11 legendary bad guys (in no particular order) to inspire your villains. Warning: spoilers are sure to follow. Origin: The Blight is an ancient, malevolent, super-intelligent entity that was defeated five billion years ago. When a young and ambitious human civilization tampers with the ancient archives in High Lab, the dormant super-intelligence reawakens and restarts its campaign to dominate the galaxy. Evil Deeds: As a considerably powerful technological singularity, the Blight’s power and expansion grows exponentially. It can easily manipulate electronics and can even rewire organics to serve as its agents. When it realizes that a small group of humans trapped on a medieval planet has the countermeasure to destroy it, it turns the other galactic species to commit genocide against humanity. It wipes out entire solar systems just to stop a handful of human threats, and even obliterates other transcendent beings of its own class, erasing millennia of culture and technological development in the blink of an eye. Trivia: Author Vernor Vinge describes the Blight as being similar to a bottom feeder because of how it tries to exist in the lower zones of thought, despite its immense power. This is in contrast to other transcendent beings who dwell solely in the Transcend. Origin: Oryx had a tragic early life; born into royalty to a father who was losing his mind, and eventually getting betrayed by Taox, his teacher. With his sisters, they were seduced deep into their home world’s core where they encountered the Worms- creatures who were imprisoned by the Traveler and drew their powers from the Darkness itself. The Worms made a pact with the royal siblings, promising them power in exchange for being hosts to their larvae, and thus were transformed into the first Hive. After reclaiming their throne, they began a war against their betrayer Taox who fled, which became a campaign of genocide against all who sheltered her. Evil Deeds: Oryx led the Hive and his sisters to slay entire interstellar civilizations to feed their Worms and become more powerful. Eventually, he killed his sisters and used their power to confront one of their Worm-gods, Akka, the Worm of Secrets. 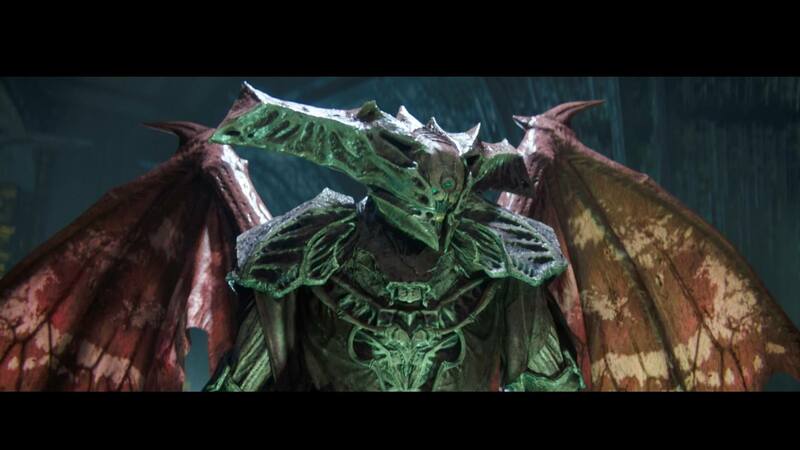 Oryx destroyed Akka and learned the ability to “Take”- transforming him into Oryx the Taken King, and allowing him to commune directly with the Darkness to control the will of other sentient beings. After millenia of war against other civilizations, including a thousand-year war with the Vex in his own starship (the massive Dreadnaught), Oryx found out his Son, Crota, was slain by the Guardians of Earth. Enraged, he invaded the Solar System, wiping out the Queen of the Awoken and her fleet in the process. Oryx used his “Taken” abilities to gain control of the many enemies of the Guardians, even nearly succeeding in taking control of the Vex’s Vault of Glass in order to erase his enemies from reality entirely. Trivia: Oryx was born as Aurash, a female of the proto-Hive race he belonged to. 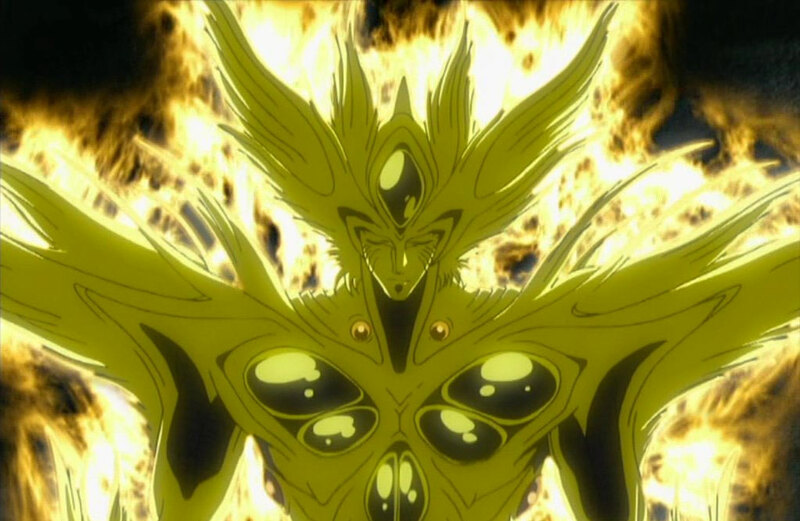 After being transformed into the God-King of the Hive, he became Auryx, a male. He was transformed once again after killing Akka, taking his final form, Oryx, the Taken King. Origin: Little is known about the origin of Rayse. What is known is that he’s the bearer of the Shard of Odium, a malevolent aspect of Adonalsium. 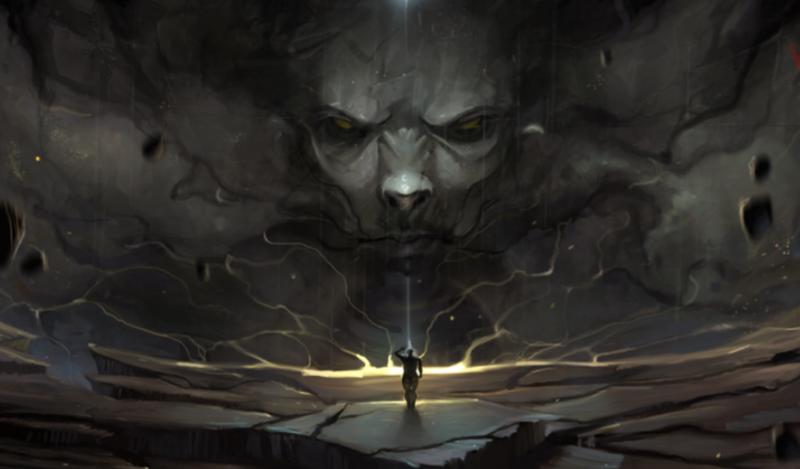 Due to unrevealed events, Adonalsium, the power of creation in the Cosmere universe, was shattered into sixteen pieces. Three Shards have influenced the planet of Roshar, Odium being the shard of hatred. Bound to the Odium shard, Rayse is imbued with its power, but also warped by the shard’s intent. Evil Deeds: Rayse is responsible for the hundreds of cataclysmic Desolations over the course of Roshar’s history. The Desolations are cyclical wars in which the forces of Odium attack the civilizations of Roshar with the intent to exile mankind to Damnation. 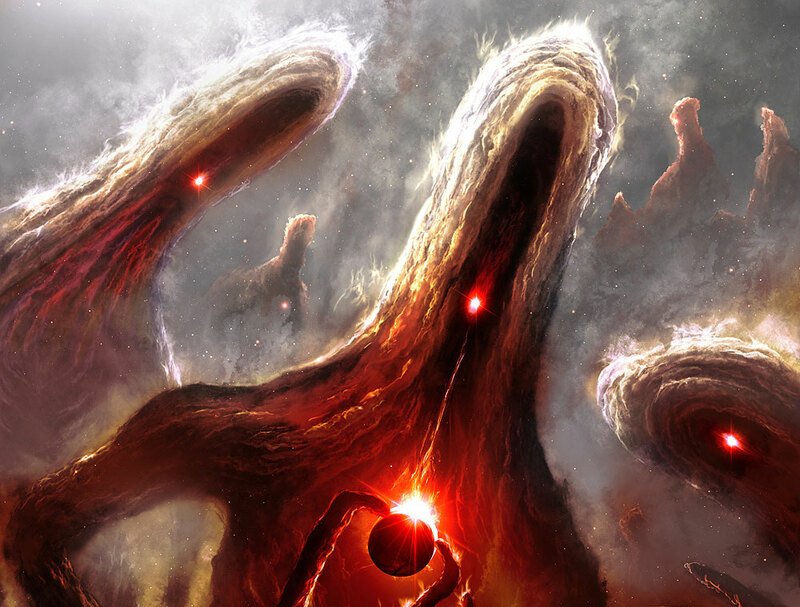 These wars involve the Voidbringers, horrific creatures said to be made of rock and flame, massive in size, and numerous. The Desolations are responsible for the death of millions over the course of history, and were only defended against with the interference of another Shard of Adonalsium. Rayse intends to become the most powerful force in all the Cosmere, using the Shard of Odium to weaken other Shards and conquer the many worlds in the Cosmere universe. Trivia: The Cosmere is a universe in which most, if not all, of writer Brandon Sanderon’s many book series take place, albeit on different planets. 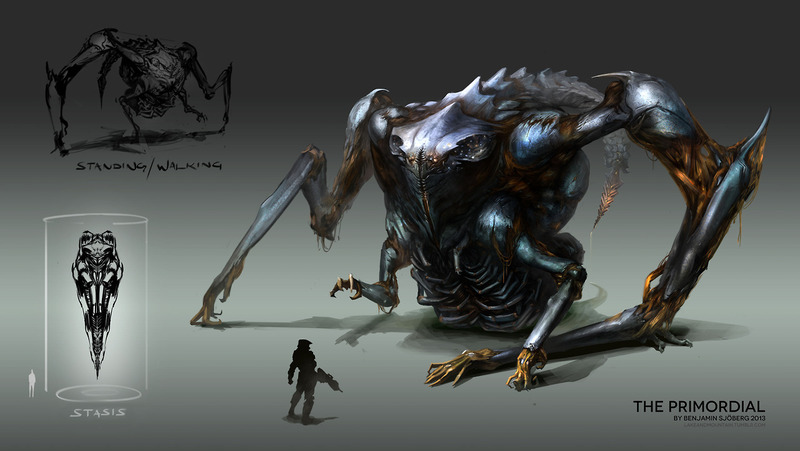 Origin: The Precursors were a civilization that preceded the Forerunners, the builders of the Halo array. The Forerunners believed that the Precursors were more advanced than themselves, calling them “Transsentient” beings capable of accelerating the evolution of intelligent life and travel to other galaxies. They were believed to have left the Milky Way galaxy, handing their Mantle -a mythological creed of interstellar justice and protection- over to the Forerunners. Evil Deeds: When the Forerunner named Ur-Didact meets the Primoridal, it tells him that it is the last Precursor in existence. It reveals to him that the Precursors didn’t leave, but were nearly wiped out by the Ur-Didact’s ancestors when the Precusors tried to give the Mantle to humanity instead of the Forerunners. Losing the war against the Forerunners, the Precursors created the proto-Flood, a parasite that would infect sentient life and mutate them into Precursors, in an attempt to preserve themselves. After millenia, however, the proto-Flood became flawed and corrupt, and the result was what we know as the Flood. Trivia: For some time, humanity wasn’t affected by the Flood; leading the Forerunner to believe there was some chance of an immunity. This turned out to be false, as it is learned that at the time the Flood was consciously avoiding infecting humans since they were the original inheritors of the Precursor’s Mantle. To this day there is no treatment or cure for the Flood. Origin: Archanfel was created around 100,000 years before the 21st century, with the sole purpose of serving the Creators by leading their Zoanoid armies in battle against an unknown enemy force. 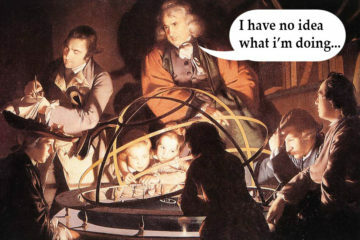 He revered the Creators as parental and god-like figures. When the Creators experimented with equipping a human with one of their organic G-Unit suits, it created the first Guyver, which unlike other humans and Zoanoids, was free from their telepathic control. The Guyver was stopped by Archanfel, but not before dealing massive damage and striking utter horror in the minds of the Creators who decided to leave Earth and abandon their experimental armies and Archanfel. Devastated as he was, he became enraged when he learned that the Creators launched a meteor at the planet in hopes of eradicating every trace of humanity, removing the threat of another Guyver. He destroyed the meteor and broke himself from the telepathic control of the Creators which drained him considerably– forcing him into a hibernation that would last thousands of years before being awoken. Evil Deeds: Archanfel is the founder of Chronos, a secret mega-corporation with the sole intent of transforming all modern humanity into Zoanoid weapons. Up to the early years of the 20th century, anyone who found out about their closely guarded existence was either killed or forcibly induced into the many ranks of Zoanoid soldiers. However, after the disappearance of Sho, also known as Guyver I, Chronos was uncontested and took control of the world governments, creating a peaceful but dystopian world. Archanfel began the next stage of his plans; reverse engineering a derelict Creator vessel and creating a massive organic star-ship to use to transport his planet-scale Zoanoid army in an assault against the Creators who betrayed him. Never directly having to confront the Guyver or the Guyver GIGANTIC, the true limits of Archanfel’s powers remain a mystery. Trivia: While Archanfel’s powers are not yet fully known, what is known is that he was once sucked into a black hole and reappeared, none the worse for wear, a short time later – a feat that isn’t even theoretically possible. Origin: Where the Manipulators come from is unknown, but it’s likely that they are from a completely different and separate dimension from Earth or Fantastica. It’s believed that they have no world of their own, and seek to take over Earth. They are powerful and clearly evil, able to corrupt the collective imagination of humanity in an attempt to dominate them. Evil Deeds: The Manipulators created the Nothing, a threatening dark void that nearly swallows the magical world of Fantastica. In doing so, they seek to replace the fantasy and imagination of humanity with lies and delusion, weakening their minds, driving them mad, and making them easier to control and dominate. How they have access to Fantastica is unclear, but it’s believed that Gmork, a wolf-like monstrosity in the fantasy realm, is capable of traveling in and out of Fantastica. The Manipulators recruited Gmork to betray the Childlike Empress of Fantastica and aid the Nothing in destroying human imagination and hope. Trivia: The Manipulators are not apart of the second half of the Neverending Story novel, but their plot to use the Nothing is alluded to as Bastian’s memories are lost while he journeys through Fantastica after saving it and the Empress, thus the Neverending Story continues. Origin: Lavos is from a distant part of the universe and fell to Earth roughly 65,000,000 B.C; when it burrowed into the planet’s crust. Here it absorbed the DNA of evolving creatures and manipulated the evolutionary path of Earth’s lifeforms in order to create the perfect spawn. Its purpose was to create powerful offspring that would travel to other planets and repeat the cycle, eventually creating the perfect life form in the galaxy. Evil Deeds: After arriving on Earth, Lavos slept for millions of years, directly influencing all technology and life on the planet and evolving the planet’s life forms to make it self stronger until 1999 AD. When it emerged from beneath the Earth’s crust it caused volcanic chain reactions that wiped out nearly all life and civilization on the planet. It was named The Day of Lavos. After being defeated by time-traveling adventurers, Lavos was exiled to the Darkness Beyond Time, a wastebasket of nullified timelines. Here it consumed other life forms and matured into the Time Devourer, capable of consuming space-time itself. Trivia: “La” means “fire” and “Vos” means “big” in the Iokan language. The true name of this creature, like its nature, is unknown. Origin: Metatron was originally a human named Enoch who lived for sixty-five years before being transfigured into an angel by The Authority, who claimed to be immortal, and the creator of the universe. After the rebellion of the “fallen angels”, Metatron took the regency of the throne of the Authority. As the Authority aged after millions of years, Metatron became more powerful than his master. Evil Deeds: Despite being an angel, Metatron still has impure human thoughts and feelings. He became greedy for the Authority’s rule and betrayed and trapped his master in a crystal box, keeping it alive but out of the way. He then began a campaign to implant his monotheistic religion across all the different dimensions of the multiverse to affirm his power and rule. He acts through the oppressive Magisterium Church to this end, manipulating them to try and destroy the Resistance and kill Lyra, who he believes is the second Eve destined to fall into temptation; and kill her father, Lord Asriel, who seeks to overthrow the Church and the Authority in order to establish the Republic of Heaven. 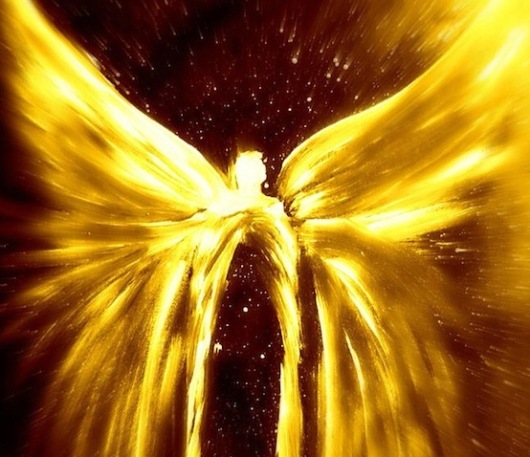 Trivia: Unlike other angels, Metatron is capable of understanding and communicating directly with humans. This would eventually be his downfall, as he is tempted by Lyra’s mother, Marisa Coulter, and enthralled by his lust for her. Origin: Alduin is depicted as a malevolent force that periodically destroys worlds in the galaxy. 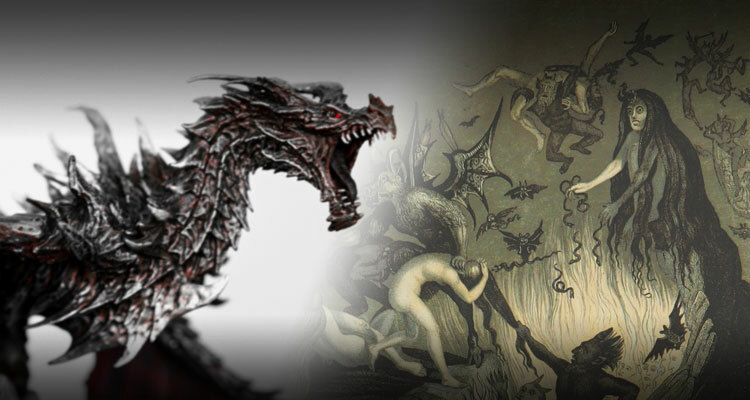 According to legend, dragons existed since the beginning of time and it was Alduin that created their civilization. He grew proud, forsaking his role as a World-Eater, and instead led his kin to rule over humans and Elves. After a betrayal from his own kin, Paarthurnax, Alduin and his dragons were defeated in a rebellion from their slaves, but he remained too powerful to be killed. Instead, he was cast into a timeless void in hopes of never returning. However, he did. Evil Deeds: Alduin is responsible for the destruction of an unknown number of worlds, including Nirn in it’s ancient history. Just as deities are responsible for creation, so Alduin is responsible for destruction, being best described as a force of the universe. Eventually, his pride consumed him and he began enslaving other creatures with his immense power. After returning from his exile in time, Alduin immediately began to rebuild his dragon dystopia. He traveled across Skyrim, resurrecting the dead dragons of old. The Dragon Priests were also reactivated. They were mortals who were granted power as kings to rule over the slaves of dragons, because dragons couldn’t be bothered to actually rule. It is learned that the only way to defeat Alduin is to utilize the power of the Dragon Shouts against the dragons themselves. 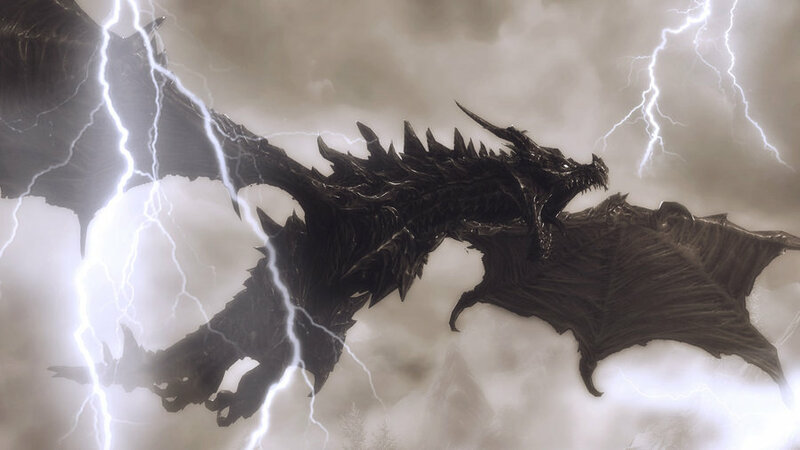 Even with the power of Dragon Shouts, it requires an Elder Scroll and traveling to an Immortal Plane to defeat Alduin, who is believed to return one day and again continue his role as World-Eater. Origin: Who, what, or where Ungoliant came from remains a mystery. Some believe she may be a lesser spirit like a Maiar, possibly corrupted by Melkor, but this is impossible to confirm. Others believe she is an incarnation of darkness itself. She took the form of a monstrous spider so that she could build her lair, devouring all light and spinning dark webs of gloom that strangled all light from entering. Eventually, the original Dark Lord of Middle-Earth, Melkor, formed an alliance with her and sought her help for vengeance, promising her great rewards. Evil Deeds: Ungoliant was able to disguise herself and Melkor with her dark webs, allowing them to infiltrate deep into enemy lines. Here she drank the light of the Two Trees of Valinor, the light soruces of the Land of Valar in ancient times. This darkened the land permanently, and only the flowers of the trees remained which were used to create the sun and the moon. After this, they fled to Middle-Earth where she claimed her prize from Melkor, growing more and more powerful but never satisfying her everlasting emptiness. She confronted Melkor, demanding him to hand over his most prized and powerful possession, the Silmarils. 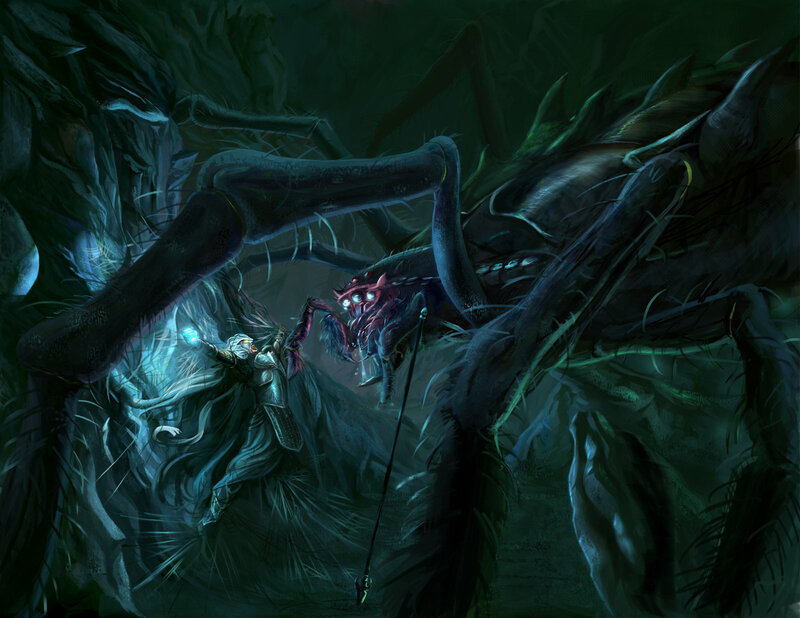 He refused, and Ungoliant attacked him, using her web to incapacitate him. If not for his Balrog army coming to his aid, Ungoliant would have devoured the Dark Lord of Middle-Earth. 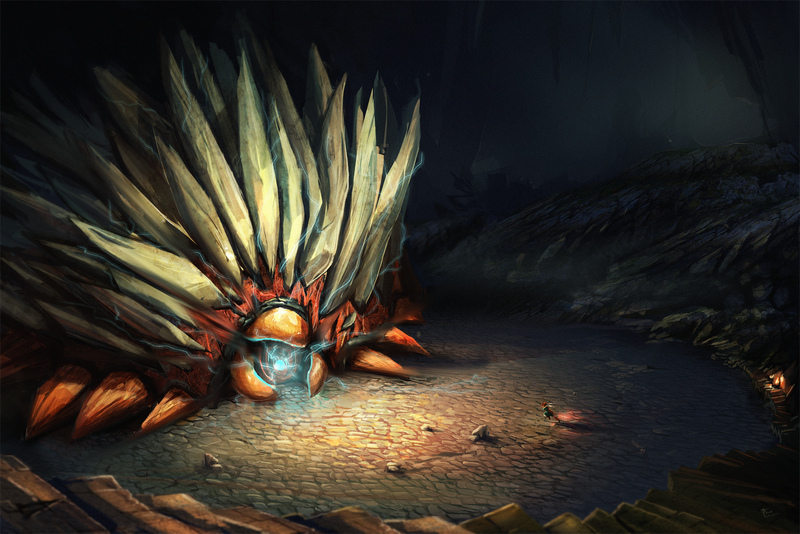 Trivia: Ungoliant’s whereabouts are unknown and it’s believed she may have devoured herself in her unending hunger. She is survived by Shelob and the many other giant spiders that inhabit Middle-Earth. The 11th and final super-villain is reserved for your input. Who is a super villain that inspires your evil characters, and what makes them so villainous? Let us know in the comments. Sauron, Lord of the Rings. The Mule, Foundation & Empire, Forward Foundation.